Dharamsala, the headquarters of Kangra district, lies on its southern spur in above the Kangra Valley, which divides it from Chamba. 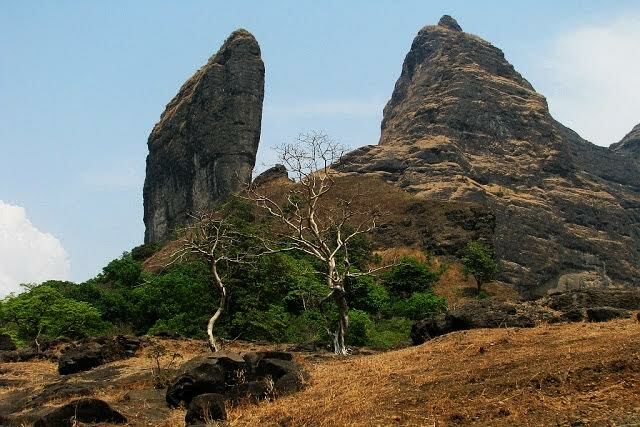 The Dhauladhars have a peculiar topography. Extremely rocky with a lot of granite, the flanks of the range contain a lot of slate stones (often used for the roofs of houses in the region), limestones and sandstones. Ascending from any side is a tough business, given the near vertical incline. This calls for really tough trekking and mountaineering. There is very little habitation on the range given the harsh conditions. But meadows abound near the crest providing rich pastures for grazing where large numbers of Gaddi shepherds take their flocks. The top of the crest is buried under vast expanses of thick snow. 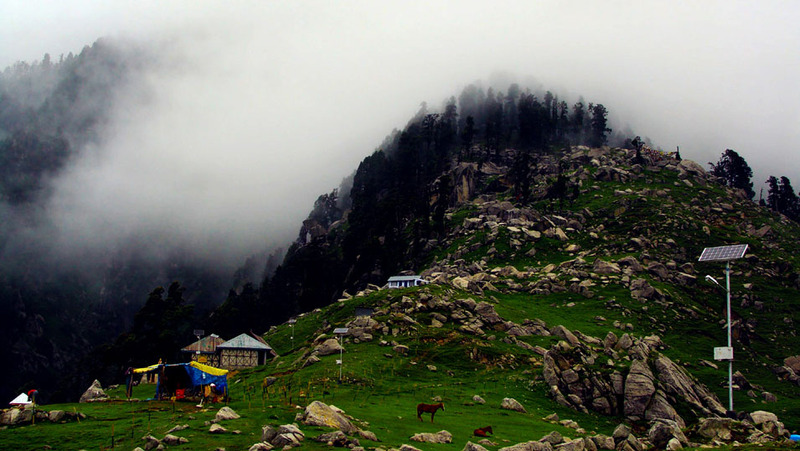 As a matter of fact, Triund - Ilaqua, approached from the hill station of McLeod Ganj, is the nearest and most accessible snow line in the Indian Himalayas. 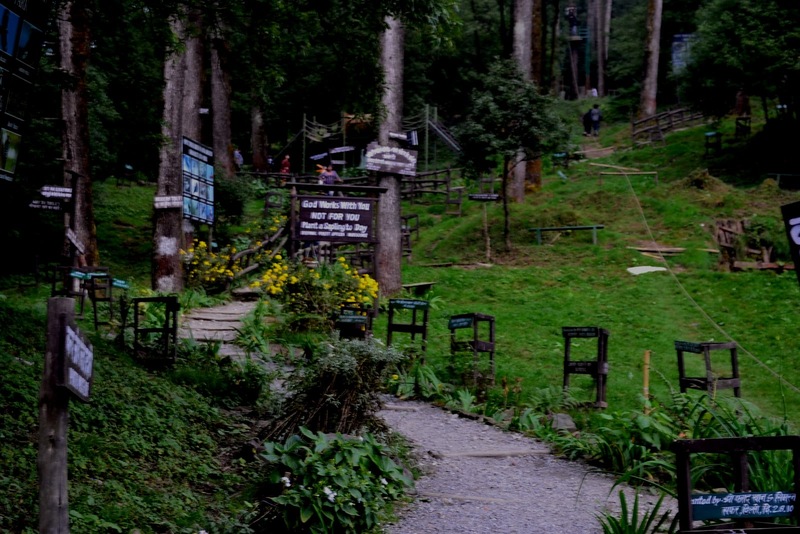 The range has rich flora and fauna and its exquisite beauty attracts mountain lovers who return many times over to savour the delightful trails and there are many of them. Several peaks both virgin and scaled have drawn mountaineers from all over the world. Some of the well known ones are Mun (4610 m) near Dharamshala, Kailash (5655 m) in the sacred Manimahesh region, Gaurjunda (4946 m), near the Talang pass, which is also commonly referred to as the Dhauladhar Matterhorn, Christmas (4581 m), Toral (4686 m), Dromedary (4553 m), Riflehorn (4400 m), Lantern (5100 m), Arthur's Seat (4525 m), Camel (4520 m), Slab (4570 m) and several other named and unnamed peaks. 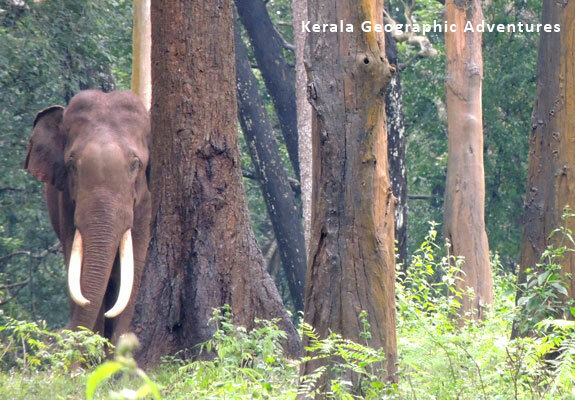 Due to the position of the range it receives two monsoons a year with heavy rains so, where the mountains have not been heavily logged, there are dense pine and Deodar forests. 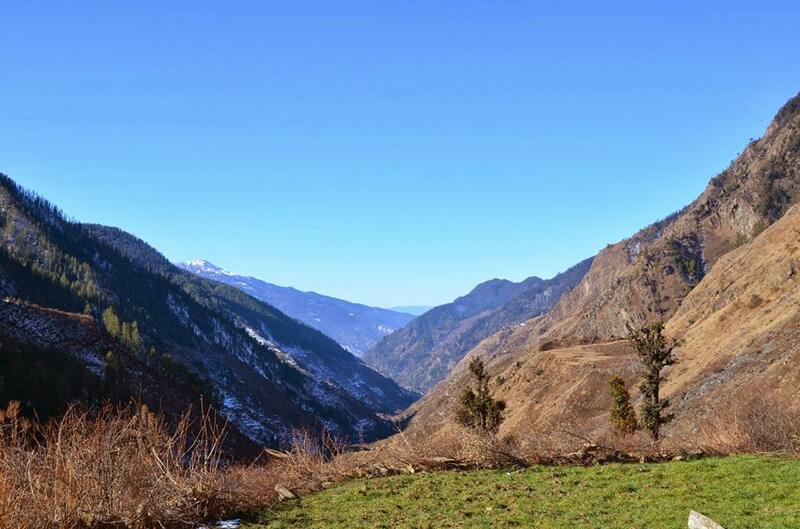 Because of their renowned beauty, the friendliness of the Gaddi people who live on both sides of the range, and relatively easy access from Delhi, they are popular for hikers and trekkers.